Mabel Sine Wadsworth was a pioneer in women’s health in Maine. She grew up in New York State and attended the University of Rochester School of Nursing. After graduation, Mabel worked in a variety of settings, including emergency rooms and labor and delivery hospital floors. She had read about and admired the work of Margaret Sanger, who campaigned tirelessly for women’s access to birth control, especially diaphragms. Mabel also saw the tragic results of unsafe, illegal abortions in her early nursing career. Mabel came to Bangor in the 1940s with her young daughters and physician husband. She immediately looked for activities in the area where she could be of use. Mabel joined the Maternal Health League, a group of physicians’ wives and nurses whose goal was to increase access to birth control for women so they could be more in control of the size of their families. The Maternal Health League found a physician in Bangor who was willing to talk to women about birth control and to fit them for diaphragms. Members then drove out to the rural areas, looking for evidence of children – diapers on the line, toys in the yard. They stopped at those homes, knocked on doors and asked the mothers if they would be interested in learning how to space out their pregnancies. If the woman was interested, Mabel and her cohorts gave them rides to and from the doctor. Mabel went on to help develop the first government-funded family planning program that offered contraceptive services in Maine and was its first director. She created an innovative outreach program for rural areas and hired “lay” health workers to provide birth control and sexuality education for their neighbors. Mabel believed that women, themselves, are the experts on their bodies and their sexuality, and that women should be in charge of their own lives, which should include deciding when to have children. She helped to found the Family Planning Association of Maine, serving as its first President, and was also instrumental in changing Maine laws to allow teens to access confidential services such as birth control and STD testing and treatment. In 1984, Mabel generously lent her name and support to the Mabel Wadsworth Women’s Health Center, and became a founding mother of the private, non-profit feminist health center located in Bangor. Inspired by Mabel’s belief in women’s empowerment through knowledge and advocacy the Center works to carry out her vision of reproductive choice and control for all women. Mabel Wadsworth received numerous honors and awards in her lifetime including the Maryann Hartman Award from the University of Maine and a Doctorate of Humane Letters from the University of Maine. She was honored by the Family Planning Association in 2000 and in her remarks upon accepting her award, stated: “The freedom of self-determination is not firm. It is under constant attack by powerful forces. We must be ever vigilant – to make sure that freedom is not lost. Do not take your freedom for granted.” In 1990, Mabel was one of the first inductees into the Maine Women’s Hall of Fame alongside Margaret Chase Smith. 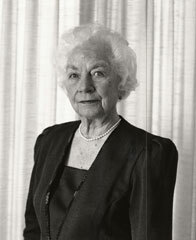 Mabel continued to be a role model, mentor, and advisor for Mabel Wadsworth Center until her passing in 2006. Her philosophy of empowerment is an integral part of the Center’s feminist model of care. We are deeply honored to carry on her legacy and truly grateful for all she did to pave the way future generations!